Chapter One reveals many secrets―about Buddha, finite and infinite, structure of the multidimensional universe, birth of life, formation of the Earth's spirit group, how reincarnation works, and the history of battle between angels and devils. Chapter Two teaches about the nature and structure of the human soul, how guardian and guiding spirits work, evolution of the soul, relationship between the mind and the soul, and functions of the mind. Chapter Three is a poetic and theoretical chapter about love. It talks about power of love, theory of developmental stages of love, bridge between love and enlightenment, and love of angels and love of God. Chapter Four takes a Buddhist approach. It starts with enlightenment and the virtue of enlightenment, and then depicts the different levels of enlightenment up to the highest enlightenment of humankind. It also shows how to get to each of those levels. Chapter Five explains in clear detail how the human civilizations changed in the last one million years, including the Mu and Atlantis civilizations. Chapter Six talks about the wisdom and courage to live your life every day, and reveals the true mission of Supreme God El Cantare. 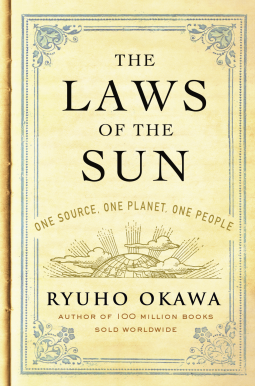 Okawa writes that The Laws of the Sun is a truly, truly mystical work, and that you should not try to use common sense to understand it, but instead replace your common sense with the content of this book.The Laws of the Sun has awakened many people to the true worldview, taught them the purpose and mission in their life, and changed their lives. And now, you're next. You were born in this age to meet this book. The Laws of the Sun is not a light read. Ryuho Okawa is a very intelligent teacher and author. This book is for everyone and to teach a deeper meaning of life.